Ology Essentials was created to educate our local and global community about the astounding benefits of the hemp plant. Hemp has 25,000 uses and yet, there is still a stigma surrounding this amazing plant. Ology is here to combat this stigma. Below you will find answers to a list of frequently asked questions that we have created for your convenience, as well as resources, studies, and books dedicated hemp and hemp CBD. Does Ology Essentials use solvents to extract our CBD from hemp? Why does Ology Essentials use fractionated coconut oil? Ology Essentials uses fractionated coconut oil (MCT) for our Hemp CBD extract for many reasons. so that consumers of any age group, background and history could safely use any of our products. Also the use of fats improves absorption and bioavailability. What is the ratio of CBD to THC in Ology Essentials Hemp CBD strain? What is the species of cannabis that Ology Essentials uses? Where is the hemp grown for Ology Essentials products? authorized under Section 7606 and the Kentucky Department of Agriculture. Can you have a positive THC test if you take hemp CBD? drug tested for any reason. Manufacturing Practices (cGMP.) Our finished products, however, are not organically certified. How does CBD work when used topically? transdermal Hemp CBD. Antidotal results have been impressive. Does your Hemp CBD taste like mud and dirt? as we do the mint. mucous membrane in the mouth, which contains capillaries that lead directly to the bloodstream. consuming fats such as oils, nuts or yogurt to improve absorption and bioavailability. receptors near the surface of the skin. fractionated coconut oil. The voltage must be 3.9V or lower. Does TSA allow Hemp CBD? Does Can someone become allergic to Hemp? Yes. Even though hemp is completely natural, all things on earth are possible allergens. What is the boiling point of Hemp CBD? The boiling point of CBD is 160-180°C and of THC is 157180°C. When comparing prices with various brands what should I be looking for? one quarter the percentage of CBD. Can I buy Ology Essentials from any state? Yes. We ship to all 50 states. Can I buy Ology Essentials from any country? country. For that reason we chose not to risk losing the products in customs. What are the concentrations of each Ology Essentials Hemp CBD products? 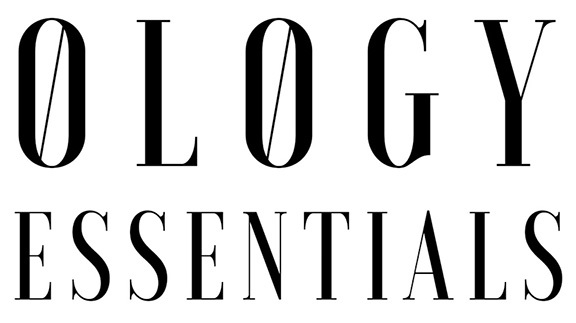 Does Ology Essentials offer Private Label? Yes. Talk to us. We know what it is like to start out a new brand and would be happy to help you. How does Hemp CBD work? and the endocrine glands. The human body always seeks to maintain homeostasis, or more easily states as balancing bodily functions. The average American diet has not contained cannabinoids, until recently with the rise of Hemp CBD oil, which contains cannabidiol as well as over 85 other cannabinoids. The plant genus Cannabis is the only source, outside the human body, that produces cannabinoids. The endocannabinoid (ECS) system is made up of millions of cannabidnoid receptor sites, which are mostly found in the brain, central nervous system and immune system. Each body system seeks to maintain homeostasis within that given system. The endocannabinoid system seeks to maintain homeostasis in all systems of the body. The endocannabinoid system maintains that by seeking to correct anything that gets out of balance including mood, sleep, hormones, fertility, memory, energy, anxiety, immune response, appetite, pain and more. The average American diet has not contained cannabinoids, until recently with the rise of Hemp CBD oil. CBD Oil contains cannabidiol as well as over 85 other cannabinoids. Constituent” was recently reviewed and confirmed that CBD is completely safe. research. The majority of studies were performed for treatment of epilepsy and psychotic disorders. Agenda, Item 5.2 Expert Committee on Drug Dependence 6-10 November 2017.
agricultural crop often referred to as industrial hemp. Marijuana is a horticultural crop. Every part of the hemp plant has a use and potential market. The oilseed of hemp is used in the cosmetic, soap, nutritional supplement, food industries due to the fatty acid profile and proteins in the oil. Hemp oil has a high percentage and a desirable balance of the essential fatty acids, Omega-3 and Omega-6. The fiber and cellulose from hemp stalks is used in the textiles, fuel and building industries. Hemp seed oil also has many household, industrial, and technical uses (Rothenberg). is used in the food industry. The hemp stalk contains blast fibers and inner core. The blast fiber is one of the strongest plant fiber that makes it a durable fiber for apparel, luggage, footwear and other textiles. Hemp blast fiber is used in the production of biocomposites for household products, insulation, paper, packaging, flooring, hempcrete, mulch and so forth can be used to replace plastics, fiberglass and wood. The hemp inner core of the stalk is used for animal bedding, and as a chemical absorbent that can be used after environmental spills, and can be used in farming and gardening. The whole hemp stalk can be used for biomass fuel (Rothenberg). Are there side effects of taking Hemp CBD? Will Hemp CBD Oil Make Me High? which are the source of THC. Hemp is said to have 25,000 uses. Marijuana has 2 uses—medical and recreational use. Is Hemp CBD Oil Legal? up to 20 ounces. This is a big reason why consumers are turning to mail order Hemp CBD Oil. If I take prescription drugs, can I take Hemp CBD? What is the recommended usage of Hemp CBD? down until you find the best usage for you. Is Hemp CBD safe for kids? Yes. Hemp CBD appears to be well tolerated by children. Research has been done for pediatric epilepsy, insomnia, and anxiety. Dr. Leslie Iversen of Oxford University states, “cannabis is an inherently safe drug, is safer than aspirin, and can be used over long periods of time without serious side effects.” However we caution that you should consult your child’s doctor before making any decisions about trying new supplements for your children. Most pediatric research has been done by giving 0.5 mg per pound of child per day, divided into 3 uses per day. The following is calculated using Essential Hemp CBD Oil 1000 mg/30 mL which contains 33.33 mg per mL. This based on research study usage alone and is by no means meant intended to diagnose, treat, or cure any disease. Is Hemp CBD Oil safe for pets? Yes. Pets also have an endocannabinoid system. We have specifically created a lower milligram product to accommodate pets from 8 to 100 pounds. Usage below is based on research study usage alone and is by no means meant intended to diagnose, treat, or cure any disease. If your pet has a medical condition or take pharmaceutical drugs, please consult a veterinarian before use. Does the FDA regulate Hemp CBD Oil? What is the story of US Patent on Cannabinoids? Need a new book for your book club or just wanting expand your knowledge? We have created a little reading list dedicated to all things hemp and hemp CBD. It is so important to stay up to date with legislation in the hemp industry. That is why we have listed all federal and Tennessee state law pertaining to hemp and hemp CBD. Where would we be without science? No where. Ology is a huge advocate for all things science and you should be to. Check out these detailed studies that we have compiled just for you. We love blogging. We know some of this information can be overwhelming – blogging is a great way to get information out to the community in a short and sweet way.